Voltron is making a comeback, oh yeah! We couldn’t be more excited about it, because if there’s anything the world could use more of, it's giant robot fighting action! That’s why we love all of our Voltron costumes, but we got to thinking. Isn’t there some way to make this robotic battle action even more awesome? We asked our resident robot expert about it and he told us something so simple, it almost blew our minds. Swords. Yes, giving a giant robot a sword makes any robot look about 20 times cooler. 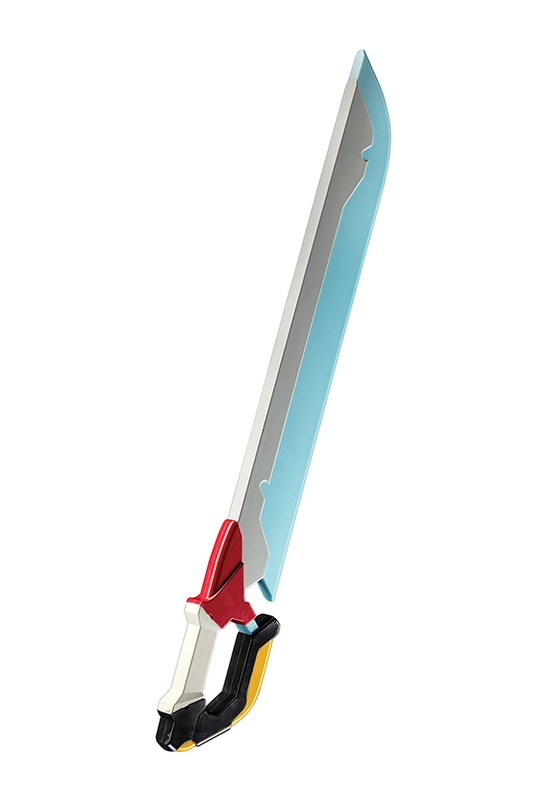 So, we went ahead and tracked down this Voltron sword to pair up with your Voltron costume. The very sight of it will strike fear into the heart of Emperor Zarkon! You’ll be ready to do battle with any form of monster or robot, since this toy sword looks just like the one seen in the Legendary Defenders animated series.